and a few dropped on your poems. Like nothing else in Tennessee or anywhere else, Stephen Roger Powers' The Follower's Tale explores the lovestorms, hardships and delights long yarned and yodeled in country songs, but this whirlwind of a collection at once ironizes, subverts and deepens the miseries and joys of yearning without ever taking its eyes off the miraculous Dolly Parton. As the narrator observes, fantasizes and even channels the Pigeon Forge nightingale, he discovers that her down-to-earth royal kitsch provides the key to life's most elusive mysteries. By the time Powers has worked his magic, even the slovenly wilderness will want to wig up and warble a chorus of "Jolene." Stephen Roger Powers was born in Madison, Wisconsin, and grew up in the cornfields of nearby Sun Prairie. While working on his PhD in English he wrote a stand-up act about his hearing impairment and performed for several years in comedy clubs and casinos around the American Midwest. Today he splits his time between Milwaukee and Georgia, where he teaches at Gordon College and enjoys the beaches of Tybee Island. The Follower's Tale is his first book. Only $2 to See the World's Largest Model Railroad Display! like the ends of broken hairpins. that are too small to paint faces on. Just because you aren't leading the way doesn't mean you don't have your own story. 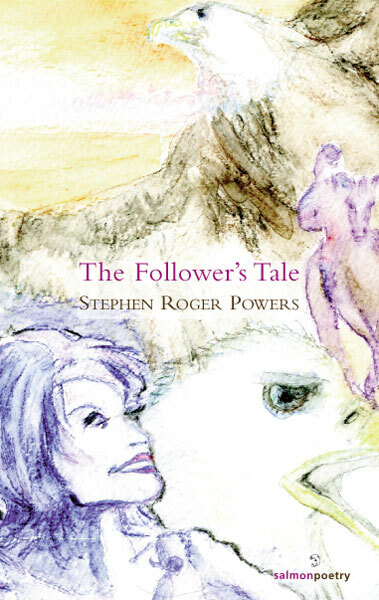 The Follower's Tale is a collection of poetry from Stephen Roger Powers in his first anthology of poetry. Aiming to tell an offbeat and original story, he brings readers a unique brand of poetry that hasn't been seen much before. "The Follower's Tale" is a choice pick for poetry lovers, highly recommended. "The Night Before Dolly's Parade": I watched an old man watch his son on stage/in Master Harold. I ignored the play/and traced his laughs, his lips, his nose, the way/his eyebrows flew up when his son engaged/the audience in something humorous./After the show I drove all night through states/too flat for companionship. No complaints,/no one to make me feel ridiculous/when I cranked up Dolly's dulcimers down/through cincy on my way to Dollywood./I named my future son, sang along, looked/behind while I drove up hills south of town./My eyes coffeed open to watch for deer/as the rhinestone skyline sank out of my mirror.